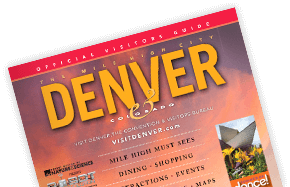 Use VISIT DENVER's maps to find some of the best Denver hotels, restaurants, and things to do in The Mile High City. Additionally, use one of our maps below to find all that you will need to plan out your Denver trip. Discover downtown Denver with a map that shows shopping, museums, and other major attractions. Check out the many attractions in the greater Denver area. Get a bird&apos;s eye view of major Denver attractions divided out by neighborhood. From the stunning skyline of Denver to the awe-inspiring views from high atop the Rocky Mountains, use this Colorado map to plan your dream vacation. Plan your route through the American West – from the majestic Rocky Mountains to the California coast – with this detailed map.